You’ve probably heard of Boudica. She is dead famous for: galloping to battle in a rattling chariot; being big and kinda scary – and getting very, very angry with her Roman rulers. But did you know that Boudica learned to use weapons when she was a little girl, chopped off the Emperor Claudius’s head (well, sort of), and burned London to the ground? Yes: even though she’s dead, Boudica’s still full of surprises! 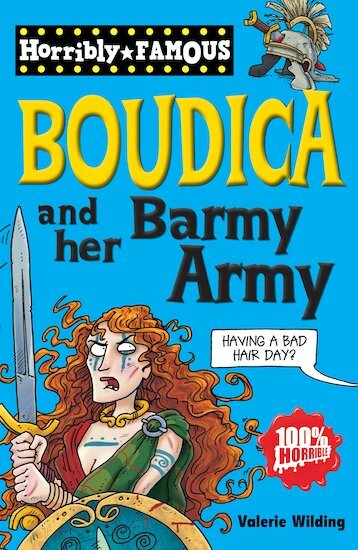 Now you can read the inside story in Boudica’s secret diary, get all the news from the Roman Messenger and the British Bugle, and find out just how Boudica and her barmy army seriously put the wind up the Romans!